I would lie to you if I would say I was planing to buy camo vest. It was impulse purchase. It's funny thing with impulse purchases - sometimes they are just an impulse, but other times you wonder how it could possibly be that you didn't realize you needed one in your wardrobe.That's what happen with this camo vest. I have been wearing it even more than you can find here on blog. As you know- I'm repeat offender. I like to get most of my wardrobe and feel comfortable with everything what I have. The easiest way how to pair something like camo vest is pair with great basics or classic pieces like; breton stripes, black or white button up shirt, cable knit jumper, black jeans, red heels, leopard loafers, etc. SO versatile! I love each way you have styled it. I think my favorite is over the striped top. 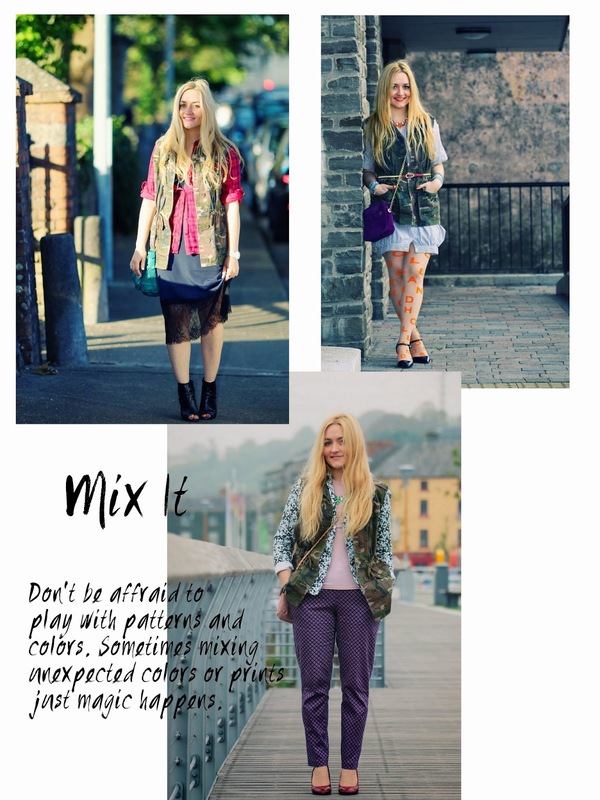 Such good pattern mixing! Obsessed with this vest and I love all of the ways you styled it! So cute! I love camo and vests! Great looks together! I am really not a fan of camo vests since I don't know how to style it, honestly. Haha! But looking at your pictures gives me that urge to try one. It wouldn't be a bad idea anyway. It's so versatile and goes with so many things! Looks great on you Ra! I've never been one for cammo, but clearly I'm missing out - you've done so well styling this vest! I'm definitely going to need to pick one of these up for spring! Great styling inspiration. Love all the ways you styled the vest. It's great when you buy such a versatile piece! I love all the ways this was styled! Thanks for sharing! I adore all these looks! What a versatile piece to have in your closet! I love it when I see something on repeat on a blog because let's face it, we'd all be well dressed if we could buy with no budget. But when you see one item repeatedly on a blog, it is more realistic and it gives you ideas on how to style things that you already have in your own closet, right? I love all the pictures and the ways you styled it. These are such creative looks - I love it! I especially like the last one mixed with all the different patterns. Dear Ra, you are totally right! 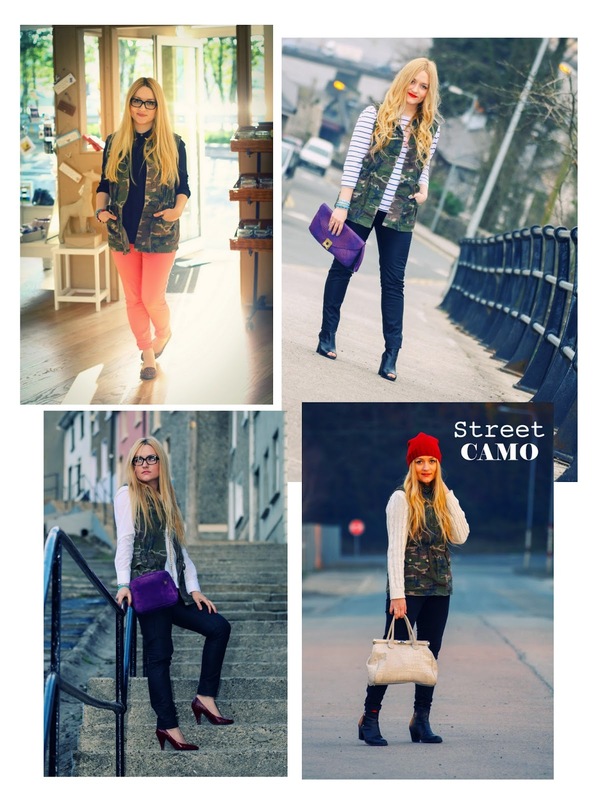 You show here in a wonderful way how different a camouflage vest can be styled and as usual I love each of your looks. You have truely a huge sense for fashion. It's interesting, I myself neither have planned to buy a vest with such a pattern, but how good you did it in the end as the success with your outfit confirms your decision. Hopefully you are well and you met your family in the last time ... wish you a happy week!